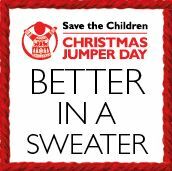 On 12th December 2014 the Shred Station team will be donning their festive winter woollies to raise money for Save the Children’s Christmas Jumper Day. The team will be joining hundreds of thousands of people across the country from schools, offices and groups to make the world better with a sweater by sporting their festive wear and donating £2 or more. Christmas Jumper Day is a fun, festive and easy way to raise money to help save children’s lives around the world. This Christmas the UK Government will match your donations pound for pound for everything you give. The money from the government will help fund work in Kenya. £150 could buy warm winter coats, scarves, hats, boots, insulation and plastic sheeting to protect a refugee family from the elements. £200 could buy enough high energy peanut paste to treat 40 malnourished children for a week. £450 could buy nutritious food baskets for six families of six for a month. Save the Children works across more than 120 countries save Children’s lives, fighting for their rights and helping them fulfil their potential. You can donate £2 to Save the Children for the Shred Station Christmas Jumper Day by texting TEAMSHRED to 70050. To get involved with Save the Children’s Christmas Jumper Day visit www.christmasjumperday.org for more details.